Last week, we went over the difference between contractions and compound words. The word “you’re” is not the same as the word “your,” but we all know that right?! You’re is actually a (grammar) contraction meaning YOU + ARE. A contraction combines two words by eliminating one or two letters and replacing them with an apostrophe. In the contraction “you’re,” the "a" in the word “are” is replaced with an apostrophe. We're in a rush to write our college essays, our work emails, our Facebook posts, our Instagram captions, and so on. I get it. I also get that it's natural to make a mistake or two when you're writing speedily. But how do we recognize our grammar mistakes when speed is not the issue? When we've taken our time, edited our work with spellcheck, and proofread it more than once? I have a simple solution...read your words out loud. Sometimes, we think our sentence structure is correct and our paragraphs flow because there are no green and/or red editing lines bringing our attention to a mistake; however, that doesn't always mean that what we've written makes sense. November is "National Novel Writing Month" aka #NaNoWriMo and this blog is to encourage all of us writers, bloggers, authors, poets, students, and everyone else who loves putting words to life. Although this month is specifically targeted to novel writers, I feel that all writers can be apart of this "writing" movement. That being said, I know there are obstacles that we face as creatives. Outside of writer's block, there's the gruesome editing process. If you are anything like me when I published my first book two years ago, you are limited on resources, specifically resources that involve money. In other words, you are on a tight budget. If that's your testimony, don't fret. I have good news for you! We all have that one friend that's always taking a class or correcting someone's grammar on facebook (without their permission). Yeah, recruit that person. It will allow them to utilize their smartness (<-- yep, I said it). BOOM! That's free service and an extra pair of eyes for your writing piece. What is Grammar & Why is it Necessary? 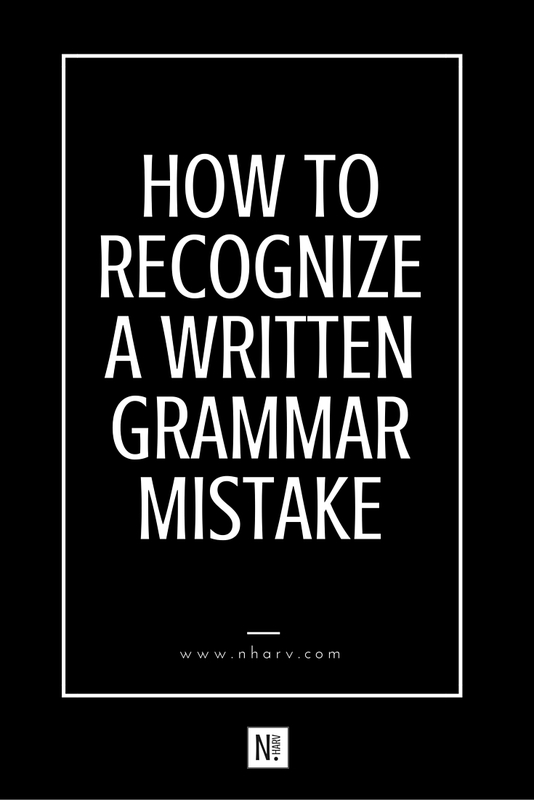 Before I dedicate my entire blog to giving grammar and writing advice, I thought I would take a step back and actually define grammar. How can you be better at something without knowing what that initial "something" is, right? Well, that's the motivation behind this blog post. I want to explain what grammar is and why it's necessary within any language. Grammar is ALL of the rules that make up a language. For the sake of this blog, we will reference the Standard American English Language as the language of focus. Two very important elements of grammar include syntax (arrangement of words) and linguistics (the study of the forms of words). Without knowing how to arrange words into groups, sentences, phrases, questions, expressions, and paragraphs, we would simply have words, but no communication. Does that make sense? We need grammar. Grammar is the foundation of language because it's the foundation of how we communicate with one another.